Tonight, Tuesday, December 6, 2016 Chef/Restaurateur Michael Franco launches Baril, a neighborhood bistro, steps from Rittenhouse Square. Inspired by the comforting cuisine of Provence, France, Baril features farmhouse-style southern French fare using ingredients sourced from our region’s agriculturally rich small farms and creameries. A hydroponic garden will grow fresh herbs and vegetables in house to be used in the kitchen and bar alike. Baril, where the motto is eat well, drink often, offers the perfect combination of seasonal French comfort-food, carefully curated wines, and handcrafted cocktails. “Baril is an extension of my home, I want guests to feel the same way like they are in a friend’s house sitting around the table drinking, eating, and exchanging stories” says to Franco. Join Baril on Friday, December 9 from 6 to 10 p.m. for a grand opening celebration featuring complimentary hors d’oeuvres and great company. Baril is nestled just off Rittenhouse Square at 267 South 19th Street in Philadelphia, Pennsylvania. Visit www.barilphilly.com to make reservations or call the restaurant at 267.687.2608. And follow them on Facebook [/BarilPhilly], Instagram [@BarilPhilly], and Twitter [@BarilPhilly]. Join Linvilla Orchards throughout the month of December as they celebrate their timeless tradition of transforming into a Christmas wonderland. They has so many festive activities to get you in the holiday spirit! Love to spread Christmas cheer? Every Saturday evening until Christmas, join Linvilla for caroling hayrides as they celebrate the ancient traditions of Wassailing. 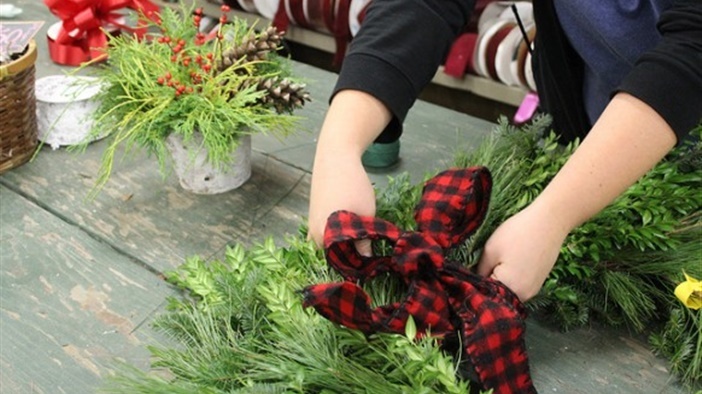 Before you leave, make sure to stop by the Christmas Shop and Garden Center for all your holiday essentials including wreaths, decorations, and Christmas gifts. Linvilla’s Farm Market has covered for sweet holiday treats like baked goods, gourmet specialties, and handmade chocolates! Most importantly, don’t forget to cut your own Christmas tree! They have the largest selection in Delaware County, as well as pre-cut trees available. For more information about all of the Christmasland fun, please visit www.linvilla.com.